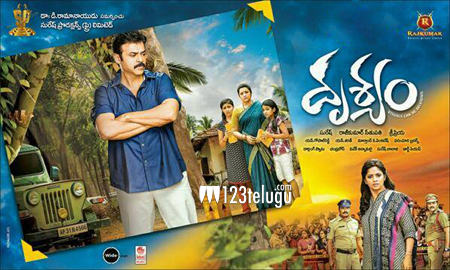 Victory Venkatesh’s latest emotional thriller, Drushyam is going strong at the box office currently. Remake of a Malayalam super hit with the same name, this movie has now collected 3 crores 40 lakhs in Nizam, after the first week of its release. The suspense thriller is performing well not only in Andhra, Telangana but also in overseas. Sri Priya has directed this film, while Meena, Nadia and Kruthika played important roles. Suresh Babu and Raj Kumar have jointly produced this flick.